This is a personalized gift for father especially on father's day or birthday gift for dad from his dear children. 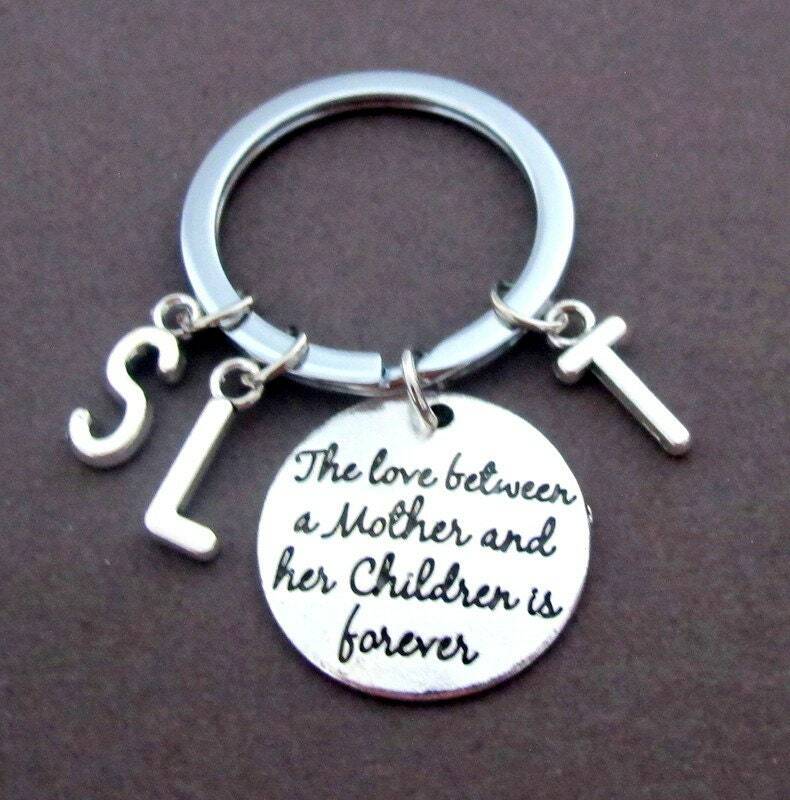 It has that wonderful quote printed on the round disc - "the love between a father and his children is forever" with kids initials. 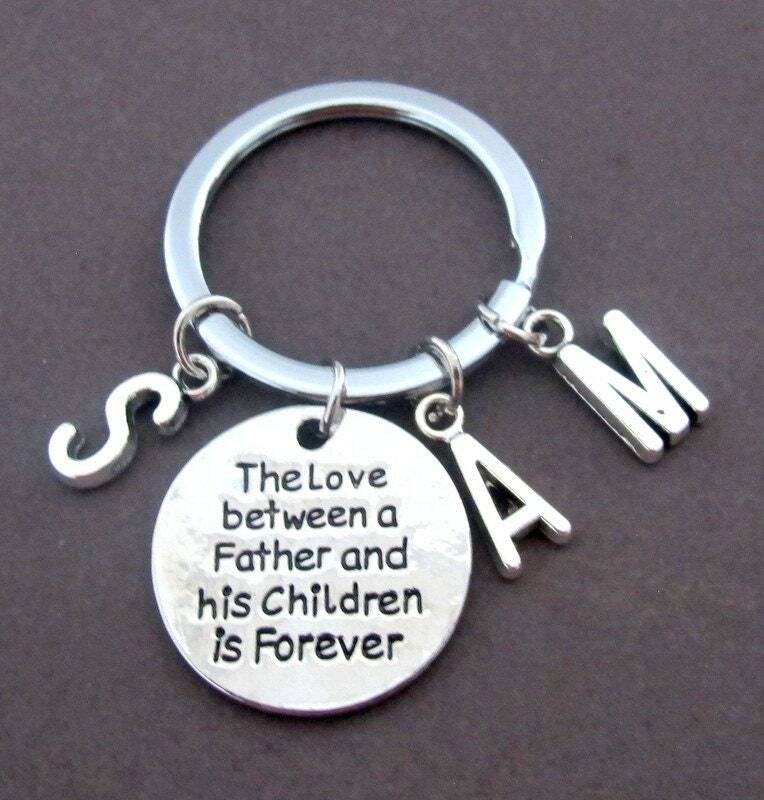 This is a wonderful Keepsake Keychain a perfect gift for dad, daddy, Papa and Grandfather. You get to choose the no. of initial charms from the drop down. So Please Mention the Initials in the note section while placing the order. thank you! I got this for my dad and he really like it. Love it and it came in such great care.